If you would like to enter a team for the Dragon Boat Racing Competition, please complete the form and click on Submit. Entry fee of £250 non-refundable, includes 17 competitors' plus 3 supporters' show entry tickets. Entries received and paid for before the end of February are at the reduced rate of £225 per team. Electronic transfer or BACS: sort code 209940, account number 40639494, your team name as identifying reference. 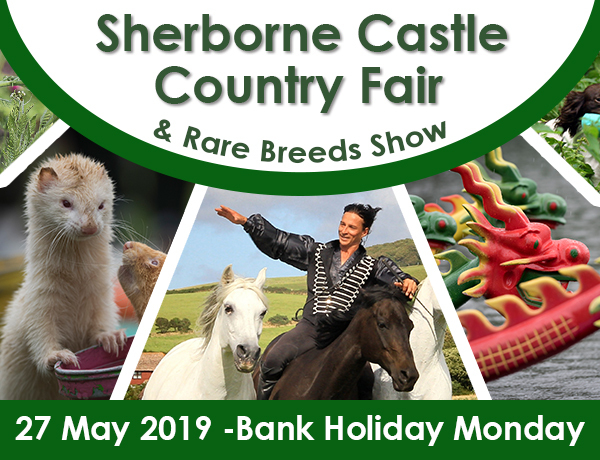 Please tick here to consent to the holding of your personal data by Sherborne Castle Country Fair under the circumstances outlined in the SCCF Privacy Notice (a copy of which can be found at the bottom of the page), and to being contacted by mail or email on matters connected with SCCF. We take care to protect personal information and hold only the minimum necessary for the purpose of contacting you about supporting and attending our Fair which, under the General Data Protection Regulations, is permitted as a task carried out in the public interest. We do not share your personal information with any other company or organisation. Personal data that we hold is confined to names, addresses, telephone numbers and email addresses, as well as some historical data on previous involvement. It is held in secure databases online. Any paper copies are held for limited periods only. Computer entries are reviewed at least annually and erased if lapsed or no longer relevant. Data on paper is destroyed securely after use. When responding to our communications, we ask you to give your consent to the holding of information about you. You have the right to see the information we hold on you and to request its erasure. If you wish to do this you should contact the Show Secretary of the Sherborne Castle Country Fair (the Data Controller).